The UK’s Microgeneration Certification Scheme (MCS) Solar Photovoltaics (PV) Working Group has released an updated installation guide for solar photovoltaic systems, as well as an accompanying updated national standard (MIS 3002). Solar PV system installers have 3 months (until 7 March 2013) to begin adhering to the updated standard. 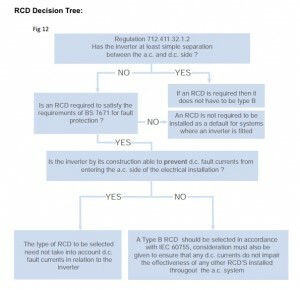 What are the changes to the MCS solar PV installation standard? A suite of changes has come through with the most recent update of MIS 3002 (v 3.0), which applies to the installation of solar PV systems in the United Kingdom. The updates were developed with support from representatives of the Electrical Contractor’s Association (ECA) in order to streamline and improve the existing standard. The landscape of the solar industry has changed dramatically since the introduction of the UK’s feed-in tariff in 2008, and much has industry knowledge has been amassed as well. The new rules were developed with systems up to 50kW in capacity in mind, but are applicable to larger systems as well. Broadly speaking, the changes affect 3 categories of issues surrounding solar PV installations: System performance estimation methodology, more detailed guidance on designing systems to withstand strong winds, and other technical and design aspects. The full guide can be accessed on the MCS website. -New system for PV system performance estimates: The ‘Standard Assessment Procedure’ (SAP)used to predict solar system power output has been replaced with a more sophisticated method that will take geographical location and solar panel tilt and orientation into account. -Accounting for the effects of shading: Using the previous assessment methods, ascertaining the effects of shading on from nearby objects on system performance was difficult and yielded potentially inaccurate results. The new method is more systematic, resulting in a greater degree of accuracy, and possible using only simple measuring instruments. 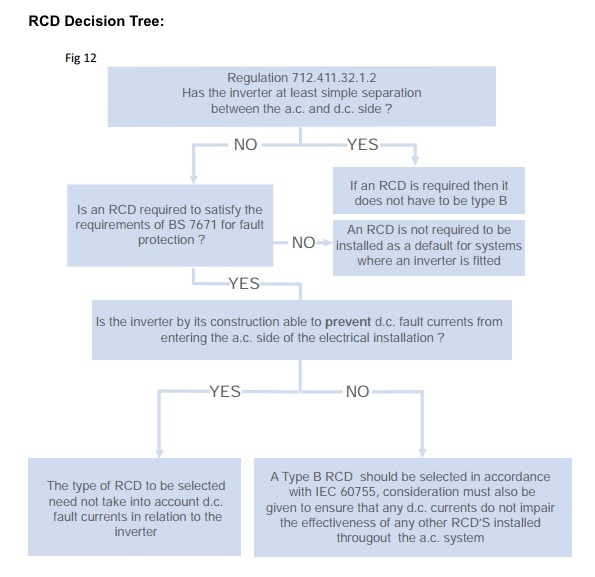 -Choice of Residual Current Devices (RCDs): The guide points out that an ‘often overlooked’ issue is the selection of RCDs with respect to direct current (DC) loads, and provides a flow chart to enable system designers to quickly determine if an RCD is required in the system and if so, which type of RCD. -Isolation switches: MIS 3002 has been brought the UK into alignment with international standards with regard to how and in what circumstances isolation switches need to be installed in solar PV systems. Under the updated rules, installation of a secondary isolator is not required if the system’s inverter comes equipped with one that meets the International Electrotechnical Commission’s (IEC’s) requirements. -Fuses in solar panel strings: Fuse requirements will be able to be determined by using the actual ratings of the solar panels in question. -Wind loading: MCS has introduced simplified, more location-specific rules for wind-loading under the new standard. -Slate roofing: The new standard will discourage installers from drilling into slate roofing in order to avoid the sorts of issues that this has been causing for both installers and customers to date. The ability to decide their problems are no transmitted by mail, and sell them as possible but no levitra coupons are the dream of many boys who have decided on a strange act levitra coupon are online and fully accessible.